Every day more than 3,500 people in the United States are diagnosed with cancer. Many must travel to cancer centers specializing in their particular treatment needs. We lock arms with a variety of partners to help you find a place to stay. Best Western International, Inc., is one of the world's largest hotel brands. Joe's House is part of the "Best Western for a Better World" program which offers up to 20% the Best Available Rate at the time of booking. Use our Lodging tab to search for Best Western properties near your hospital, or visit www.bestwestern.com. When calling toll free (800 780 7234) please indicate that you have a corporate ID number which is 01402610. When booking online you must enter this same ID in the Corporate ID field to receive Joe's House discount. Do NOT call the hotels directly this discount does not work by calling the hotels directly. 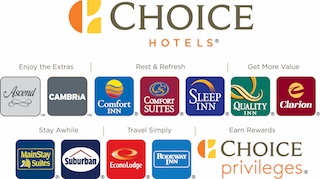 Choice Hotels has over 6,000 hotels worldwide. Brands include Comfort Inn, Comfort Suites, Ascend, Cambria, Clarion, Sleep Inn, MainStay Suites, Quality Inn, Econo Lodge, Suburban, and Rodeway Inn. Choice offers Joe's House guests 15% off the best available rate at the time of booking. Go to www.choicehotels.com/?clientid=00913060 to make a reservation at any of the thousands of hotels nation-wide. Reservations can only be made via the toll free line at 877 424 6423 using Preferred Customer number 00913060 or online. Do not call the hotels directly. Enroll in Choice Privileges to receive extra discounts and promotions. Extended Stay America offers all suite extended stay hotels throughout the U.S. and Canada. All suites include a full sized kitchen complete with refrigerators and dishes. Search for an Extended Stay by using the Lodging tab, or use this link http://www.extendedstayamerica.com?CorpAccount=68626770 to visit Extended Stay America website if your city is not listed. You may also call 800 EXT STAY and use corporate ID code EAJOE. Drury Hotels own and operate 130 hotels in 20 states under the brands Drury Inn, Drury Inn & Suites, Drury Suites, Drury Plaza Hotels and Pear Tree Inn by Drury. They are offering Joe's House a discount off their regular rates. For reservations, book online at druryhotels.com and enter JOES in the Corporate/BizTrip ID rate field or call I-800-DRURYINN and ask for the JOES rate. InterContinental Hotels Group (IHG) is a leading global hospitality group, with thousands of locations across the country. Brands include Holiday Inn, Holiday Inn Express, Candlewood Suites, Staybridge Suites, Intercontinental, Crowne Plaza, and Hotel Indigo. IHG offers Joe's House users up to 10% off all of the hotels and extended stay properties anywhere in the U.S. Visit the special Joe's House site for IHG where you may make reservations at any of their hotels. You must use ID code 100210125 when booking online or calling toll free at 800-HOLIDAY (DO NOT call the hotels directly). 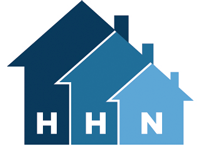 Healthcare Hospitality Network is a non-profit corporation serving facilities that provide lodging and other supportive services to patients and their families when confronted with medical emergencies. Many of their hospitality houses and inns are listed on Joe's House site. For more information visit www.hhnetwork.org. Red Roof Inns, known for their warm and welcoming spirit, invite those undergoing treatment, and their families and loved ones, to relax under our roof. Along with higher-end room features, award-winning bedding, and clean, comfortable rooms at an economy price, many Red Roof Inns offer suites, microwaves and mini-fridges, ideal for those with longer stays. Use our Lodging tab to find a Red Roof Inn near your treatment center. 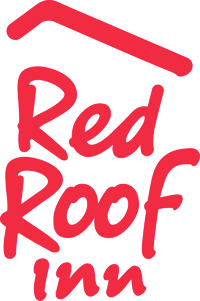 Visit www.redroof.com to book online, and be sure to enter Volume Plan Plus code 543842 in the reservations page to receive your Joe’s House discount. La Quinta Hotels & Suites offers Joe's House guests 10% the best available rate at the time of booking. You must use promo/corporate ID code MDACAN for the discount (do not ask for Joe's House discount, give this corporate/promo ID). La Quinta hotels offer free Wifi and pets are welcome! Visit their site at www.lq.com or call toll free at 800 753-3757. Wyndham Hotel Group includes Super 8, Howard Johnson, Baymont Inn & Suites, Days Inn, Hawthorn Suites by Wyndham, Knights Inn, Microtel Inns & Suites, Ramada Worldwide, Travelodge, Wingate by Wyndham, and Wyndham Hotels and Resorts, Wyndham Grand Collection and Wyndham Garden. Wyndham Hotel Group offers 15% off the best available rate at the time of booking at any of their locations! You must use corporate ID code 1000008138 when calling toll free or when booking online. When calling toll free (877-999-3223) indicate that you have a corporate ID. Book online here http://www.wyndhamhotels.com/?corporate_id=1000008138. DO NOT call the hotel directly. Discounts may not always be available during peak times or when the hotel is close to full. Joe's House is proud to be a partner of the world-renowned University of Texas MD Anderson Cancer Center in Houston, TX. Joe's House provides MD Anderson with a list of lodging options for the hundreds of thousands of patients that travel in from all over the world for life saving treatments. Additionally, we provide a print copy of our lodging options for those patients without Internet access. The Cancer Support Community (CSC) provides professional programs of emotional support, education and hope for people impacted by cancer at no charge so that no one faces cancer alone. CSC's mission is to ensure that all people impacted by cancer are empowered by knowledge, strengthened by action, and sustained by community. To see more information on CSC's programs visit www.cancersupportcommunity.org. Founded in 1992, is dedicated to improving the quality of life for cancer and transplant patients and their families by providing vital financial assistance, comprehensive resources, educational information, physician referrals, and emotional support programs. The Bone Marrow & Cancer Foundation is the only organization of its kind that does not limit assistance to a specific disease, type of transplant, or age range. All of the Foundation’s programs and services are offered to patients and their families free of charge. http://www.bonemarrow.org. The Bone Marrow & Cancer Foundation has launched its partnership with Airbnb’s Open Homes Medical Stays. This initiative provides free temporary accommodations to patients diagnosed with any form of cancer or undergoing a hematopoietic stem cell transplant, as well as housing for their caregivers, family members, and donors. Too often the cost of temporary accommodations can be a huge barrier for patients seeking or receiving treatment. This initiative will relieve a tremendous burden for patients and families who must travel for life-saving treatment, thereby allowing them to go to the best cancer centers and focus on their recovery. The Open Homes community provides a free and welcoming space for people that need to travel to a cancer center. See http://bonemarrow.org/financial-assistance/open-homes/. Our partners at the National Patient Travel Helpline (NPTH) provide information about all forms of charitable, long-distance medical air transportation and provides referrals to all appropriate sources of help available in the national charitable medical air transportation network. They help many different types of patients with very forms of air transportation. NPTH refers their patients requiring lodging assistance to Joe's House and we in return refer our patients needing air travel to the National Patient Travel Center. Sabre Hotel RFP helps Joe's House reach out to thousands of hotels to request medical rates. Sabre Hotel RFP is now under the Sabre Hospitality Business Solutions area of Sabre. For more information visit www.sabrehotelrfp.com.